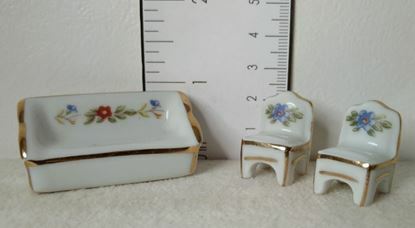 Tiny set of porcelain Limoges living room group. Sofa and two chairs. not intended for children. 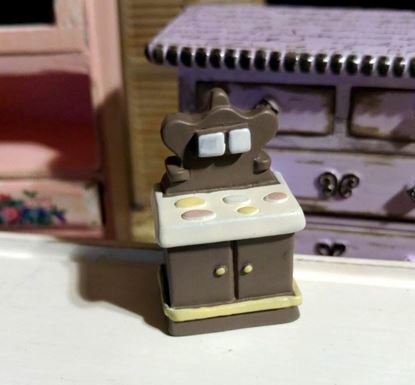 All pieces are less than an inch tall. 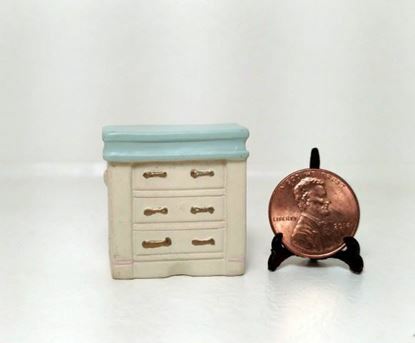 Tiny quarter scale miniature resin dresser. For display only. not intended for small children. 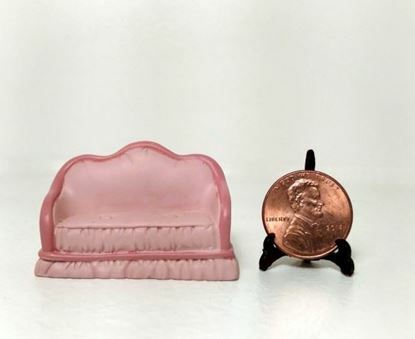 Tiny quarter scale miniature resin desk. None functioning, for display only. not intended for small children. 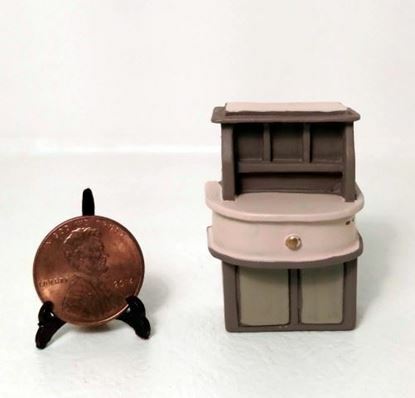 Quarter scale miniature stove. 1 1/2" h x 7/8" w x 1/2" d. None functioning, for display only. not intended for small children. 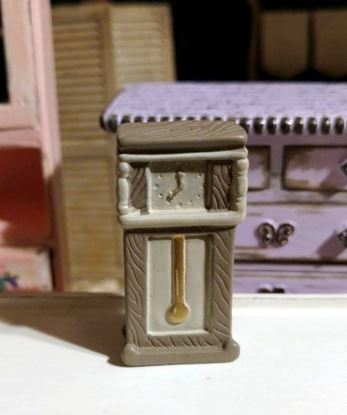 Quarter scale miniature clock. 1 5/8" h x 7/8" w x 3/8" d. None functioning, for display only. not intended for small children. 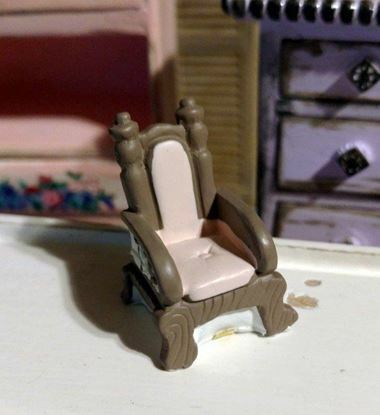 Quarter scale miniature chair. 1 1/8" h x 5/8" w x 3/4" d. None functioning, for display only. not intended for small children. 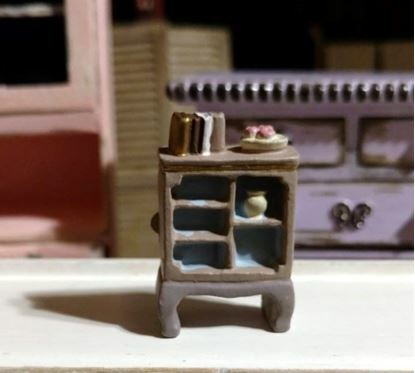 Tiny quarter scale miniature resin bookcase. 1 3/8" h x 7/8" w x 3/8"d. None functioning, for display only. not intended for small children. 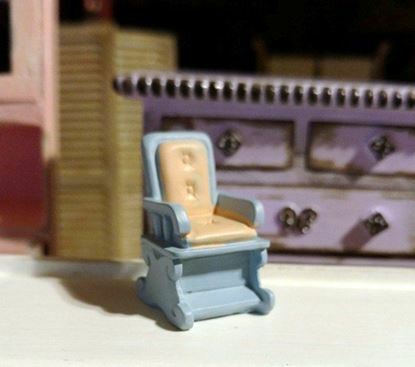 Quarter scale miniature chair. 1 1/8" h x 5/8" w x 3/4" d. None functioning, for display only. not intended for small children. Looks tan and blue on my PC, but I promise it is pink.